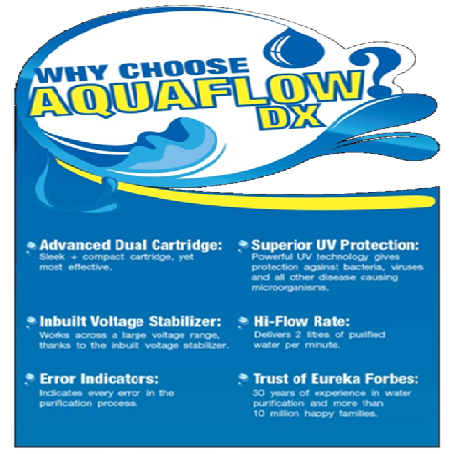 AquaSure Aquaflow Dx is a UV water purifier which is best suited for water with low TDS, not having a salty taste. It is equipped with effective UV technology to give you pure water, free from disease causing bacteria, viruses , etc. It comes with a dual cartridge which is compact, yet powerful. 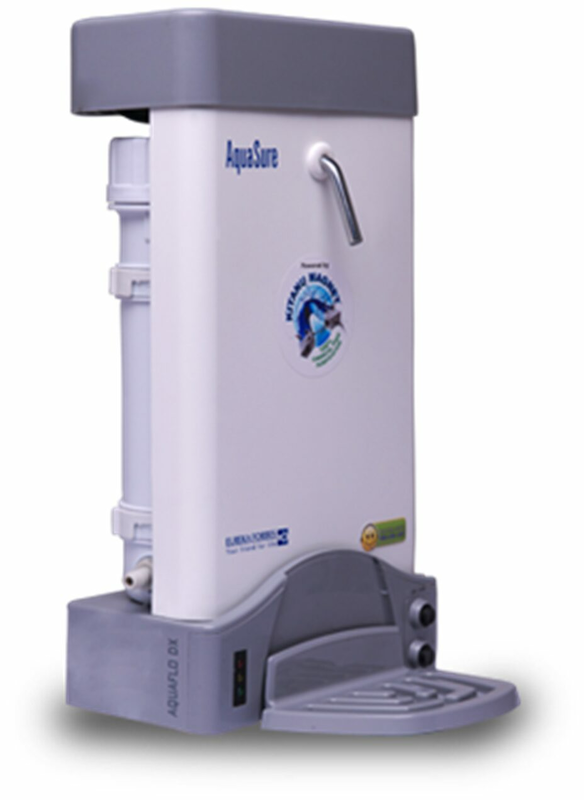 Its in-built voltage stabilizer ensures that it works across a large voltage range and delivers 2 liters of safe, drinking water per minute. Dual cartridge which is compact, yet powerful. 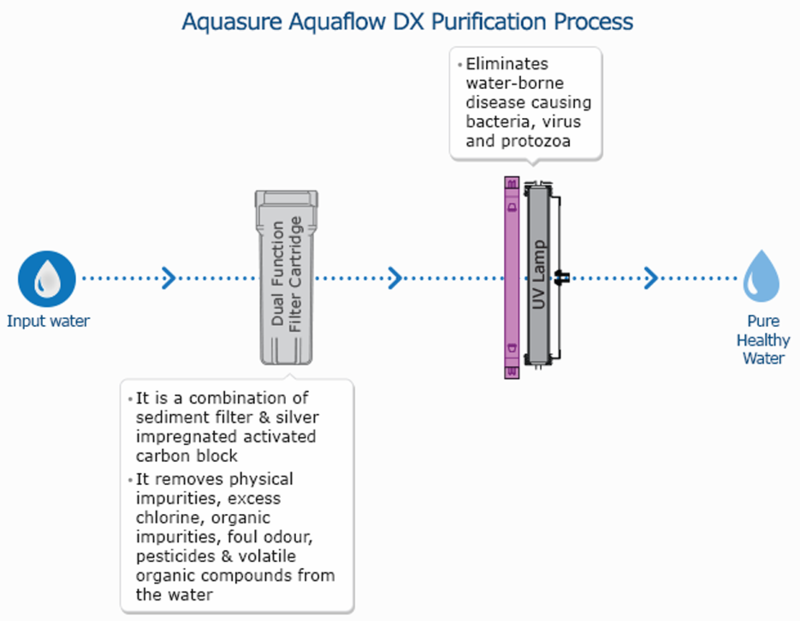 Why to buy an Aquasure Aquaflow DX 4.5 L UV Water Purifier? The company's liability under warranty will be limited only to defects which occur under conditions of normal operations and proper use. It includes defects occuring because of abuse faulty care or maintenance repair/ alterations to goods or parts by others.